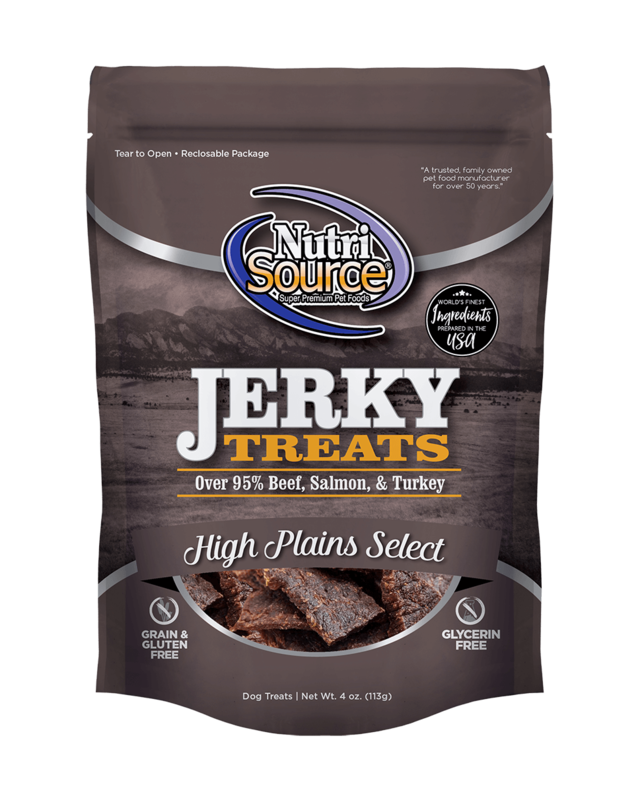 NutriSource® High Plains Select Jerky provides a delicious and nutritious anytime treat for your furry friend. Made with delicious Beef from the USA, North American Salmon, Turkey, and Pumpkin which is naturally rich in fiber and Vitamin C and prepared in the USA. Show your love to your dog by treating them with High Plains Select Jerky every day!